Nurses are in high demand in the Cape Coral / Fort Myers area and all across the state of Florida. There are several distinct routes you can take to launch a career in nursing. Below, you can learn about the main types of nurses and their different responsibilities. CNAs provide for the most basic level of care, helping patients with daily needs like bathing, getting dressed, and eating. CNA programs are offered at community colleges and vocational schools, and can be completed in a matter of weeks, making this the fastest, most affordable, and most accessible career path in the nursing field. In the Cape Coral / Fort Myers area, there are currently approximately 2,500 certified nursing assistants with average earnings around $26,000 per year. Licensed practical nurses are responsible for their patients’ overall comfort and well-being, monitoring symptoms, administering medications, and reporting any changes in a patient’s health or wellness to the doctors and registered nurses. LPN programs are offered at community colleges and vocational schools, and generally take 12 to 18 months to complete. In the Cape Coral / Fort Myers area, there are approximately 1,250 licensed practical nurses with average earnings around $41,000 per year. RNs help to manage a team of other nurses and medical support staff in planning, implementing, and assessing individualized patient care. There are two educational options for RNs: a two-year associate’s degree in nursing (ADN) or a four-year bachelor of science in nursing (BSN) degree. The ADN is a quicker way to begin nursing, yet the BSN provides a more intensive training, which gives students an edge on the job market and usually correlates with higher salaries. In the Cape Coral / Fort Myers area, there are approximately 4,500 registered nurses with average earnings around $58,000 per year. NPs are advanced practice nurses who have pursued master of science in nursing (MSN) programs or doctorates. They oversee other nurses and provide for a very high level of care, taking on many of the responsibilities formerly entrusted only to doctors. In the Cape Coral / Fort Myers area, there are approximately 270 nurse practitioners with earnings up to $130,000 per year. 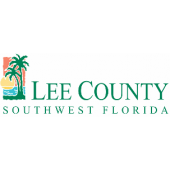 Regardless of which role you pursue, there are plenty of employment opportunities in the Cape Coral / Fort Myers area, with large employers such as Lee Memorial Hospital, Gulf Coast Medical Center, and Cape Coral Hospital. If you’re interested in starting your nursing career in Florida, take a look at the below list of nursing programs in the Cape Coral / Fort Myers area.